The SnowCheck-exclusive 850 Switchback® PRO-S – powered by the Polaris® Patriot™ 850 engine – is for crossover riders who want the ultimate in cornering and handling, and a sled that virtually eliminates stutter bumps, with the ultimate in power. Featuring the Rider-Balanced AXYS® Chassis and multiple comfort features, this snowmobile delivers Rider-Balanced™ Control, Unrivaled Acceleration, and Rider-Centric Comfort. 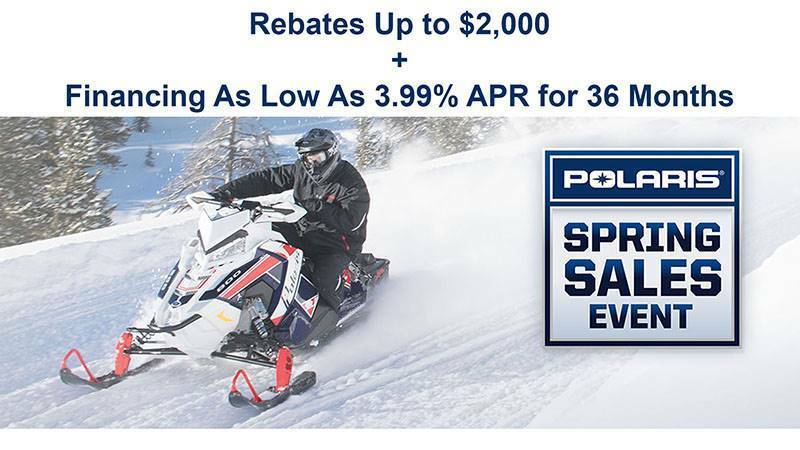 POLARIS® 850 PATRIOT™ ENGINE: The most powerful Polaris® snowmobile engine ever, building on 25 years of legendary liberty® engine heritage, creates an all-new benchmark for durability, acceleration, and response. Industry-leading power-to-weight ratio and unmatched throttle response.